But Afegbua said he stood by his statement. Yesterday, police spokesman Jimoh Moshood told our reporter that Afegbua had been advised to report immediately to the nearest police station. He said: ”The inspector-General of Police has ordered his arrest and the police have declared him wanted for giving false statement, defamation of character and acts capable of inciting public disturbance. “He should report to any nearest police position. Senior lawyers yesterday agreed with the views expressed by Given. Babangida that Nigeria needs a new generation of leaders. Mr Mike Igbokwe (SAN) and Mr Norrison Quakers (SAN) said the world was moving away from gerontocracy to the “digital generation”. Igbokwe, however, said age could also be an advantage, considering that leadership requires experience and maturity, especially in dealing with a complex society like Nigeria. To him, it does not really matter the age of whoever becomes president as long as the person provides good leadership. “My kind of leader or President is someone who would, through policies, unite this nation; someone who will appreciate our unity in diversity, religion, and ensure equity, justice and fairness to every part of the country. “I remember that Maitama Sule, when he visited the President, urged him to do justice to everybody. That is very important, because where there is justice, there is peace and progress. “My kind of leader is someone who will also appreciate the suffering of Nigerians, and make effort to ameliorate or eliminate them. We need a leader who will be progressive, so that Nigeria will occupy its pride of place in Africa,” Igbokwe said. Quakers said contemporary events showed a generational shift in politics and management of economies globally. He, however, called for balance. “You can see a new generation of leaders emerging, which is a reflection of global politics, but you also need to look at experience and find a balance. It’s not in all cases that age is a determining factor. “When we talk of younger generation, let it be from 60 downwards. You also need to look at pedigree, what the person has done in his private life. “If someone who has not been a successful person in terms of entrepreneurship, for instance, why would you give the person the mantle of leadership?” Quakers asked. To former Nigerian Bar Association (NBA) Ikeja Branch Chairman Yinka Farounbi, Babangida is not the best person to offer such an advice. “I read the statement of Gen. Babangida with a lot of sadness – sadness in the sense that he is the best example of a Nigerian who should not advise us at all. Apart from the misfortune of Obafemi Awolowo not ruling this country, IBB remains the sore story of this country. National secretary Dr.James Okoroma, in a statement on behalf of the party said history would be kind to the former President for speaking out against what he described as leadership failure of the government.Okoroma said the former President was “clinical in his presentation by touching on the economy, pervasive insecurity, bloodletting across the country, devolution of power, community policing and restructuring. 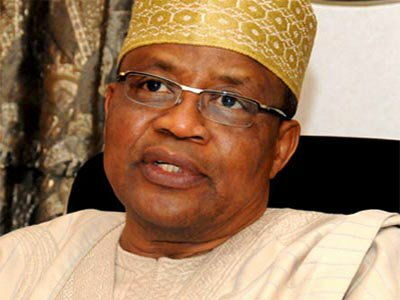 While aligning with the former President in appealing to President Buhari not to seek re-election in 2019, the ADP scribe said: “Babangida’s advice that the war against Boko Haram be taken to the inner recesses of Sambisa Forest should be hidden. “Babangida spoke as a patriot. He offered solution to every problem he identified in his statement. He has spoken as one of the fathers of modern Nigeria. The issues he has raised should engage the attention of all patriots. NIM’s Deputy Director General Mallam Naseer Kura praised what he described as Babangida’s strategic intervention on the crisis of leadership and politics rocking Nigeria. He said NIM is also compelled by the dearth of real political parties in the country to facilitate a major rainbow political platform, modelled after the ANC of South Africa, to undertake the grooming of its adopted candidates for the 2019 elections. Kura said: “With this crucial endorsement of the third force initiative of NIM by IBB and other eminent leaders of the country, it means the time has come for fresh breed third force ideologues to rise up and take over the mantle of leadership to lead the country.